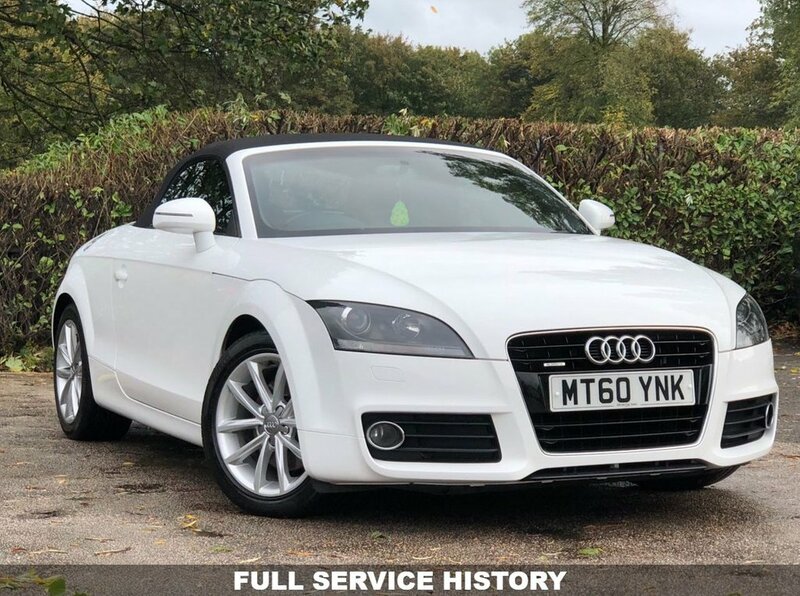 THE SECOND GENERATION IS A REAL DIAMOND, FROM ITS SLEEK STYLING AND CLASSY INTERIOR TO THE SURE FOOTED HANDLING THATS ALL DOWN TO AUDI WORKING HARD AND BEING VERY CLEVER AND PRODUCING A CAR THATS NEAR PERFECT FRONT TO REAR WEIGHT DISTRIBUTION GIVING IT A MORE INVOLVED DRIVING EXPERIENCE. AND OF COURSE THIS BEING AN AUDI TOP BUILD QUALITY AND RELIABILITY. THIS 3 OWNER FACE LIFT QUATTRO WE HAVE ON SALE LOOKS STUNNING FINISHED IN IBIS WHITE AND IS IN IMMACULATE CONDITION INSIDE AND OUT. IT HAS BEEN WELL MAINTAINED WITH FULL SERVICE HISTORY CONSISTING OF 5 SERVICE STAMPS THE LAST DONE AT 47326 MILES ON THE 28/08/2018. THE SUPERB DIESEL ENGINE BALANCES POWER WITH ECONOMY PRODUCING 170 BHP WHILST ACHIEVING AN IMPRESSIVE 62.8 MPG. ON THE INSIDE IT HAS ALL THE COMFORTS INCLUDING CLIMATE CONTROL, BLUETOOTH HANDS FREE TELEPHONE, FULLY ELECTRIC ROOF AND LEATHER/ALCANTARA SEATS. THIS CAR WILL COME WITH A FULL MOT + SERVICE + WARRANTY + 1 YEAR AA ROADSIDE ASSIST ALL INCLUDED IN THE SCREEN PRICE.